I accomplished four flights over the course of the weekend, three of which were high-power. My first flight came on Saturday, when I launched Same Old Blues on a Cesaroni I303 Blue streak. This flight didn’t show as much spinning as previous flights, and topped out at 3302′, a new personal best. On Sunday, I started the day flying my Priority Stealth on an AeroTech F22 Blackjack. This is the only motor I have ever flown this rocket on, and it always produces a perfect, spinning, smoky flight to about 200′, followed by a gentle aerobrake recovery. Next up on Sunday was my Madcow Rocketry Little John. The Little John was built for my Jr. Level One certification in March of 2010, and , consequently, I have formed a bit of an attachment to it. Therefore, it rarely flies anymore, and I always stick to low-and-slow flights. This particular flight was no exception. The Little John flew on a Cesaroni H123 Skidmark (my first sparky motor flight) to a RockSIM-estimated 1700′. Finally, on Monday, Same Old Blues flew again, this time on a Cesaroni I255 Red Lightning to 3443′, beating the personal best I had set two days earlier. This was also the first time I had managed to get three high-power flights in at the same launch. 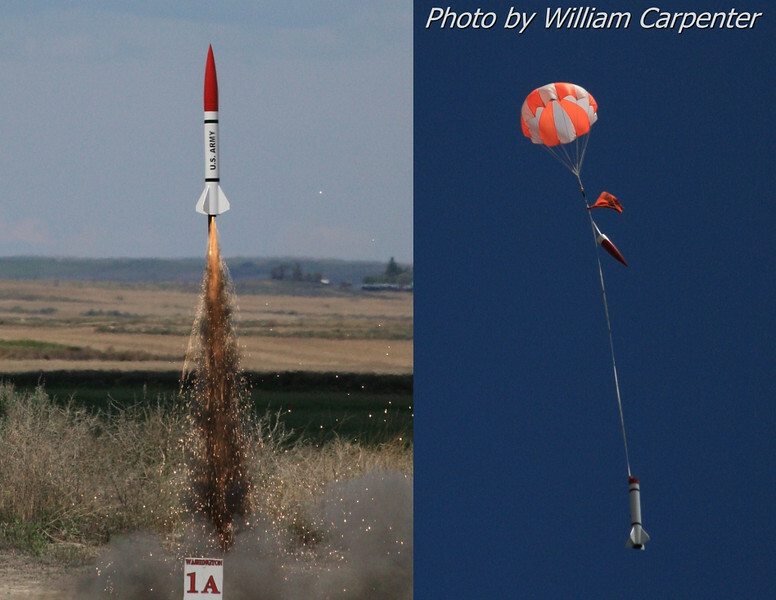 This entry was posted in Launch Reports, Photo Albums, Rocketry, WAC Launches by WSC. Bookmark the permalink.